The concert was in the new concert house of Reykjavik, called Harpa on November 10th, 2011. Performers were: Joseph Ognibene, horn, The Iceland Symphony Orchestra with Petri Sakari conducting. The tonal language was pleasantly unpretentious. The soloist, Joseph Ognibene played many charming lines in a thoughtful, almost introvert way. Around this, the orchestra span a mysterious web and a nostalgic nationalism was hanging over it all. It crystallized in an 17th century Icelandic folk song coming to the fore already at the beginning of the piece. Also evident, were phrases which are based on the natural tone-rows of the instrument. Furthermore, a significant timpani part created a very carachteristic athmosphere. All this resulted in a flow which was comfortably non stringent, but nevertheless emotionally ladden. It was almost romantic. The soloist as well as the orchestra played brilliantly. The outcome was a particularily entertaining experience. 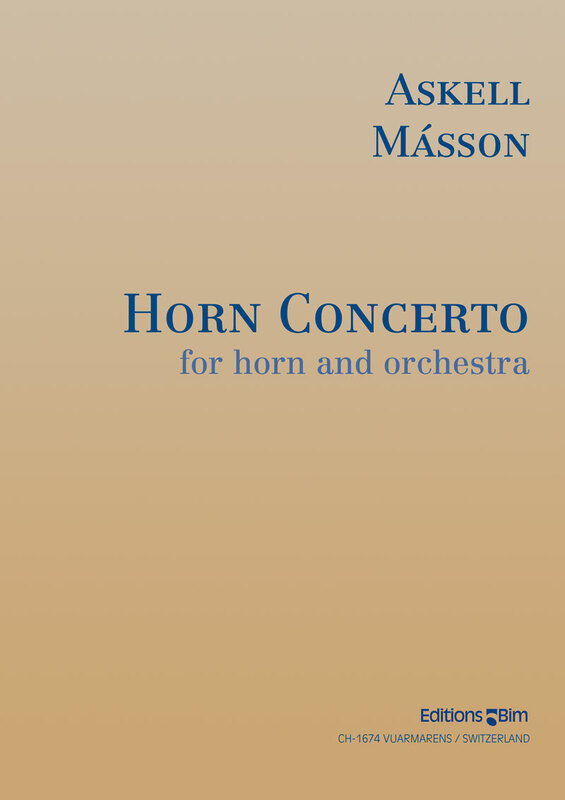 The Conclusion: The Horn Concerto by Masson was bewitching.